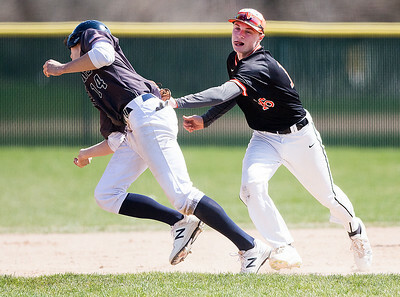 Sarah Nader - snader@shawmedia.com Cary-Grove's Benjamin Baruth (left) is tagged out by McHenry's Owen Patzin while he runs to second base during the fourth inning of Saturday's game at Cary-Grove High School April 8, 2017 in Cary. 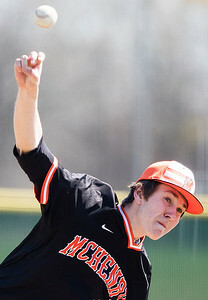 McHenry won, 5-2. 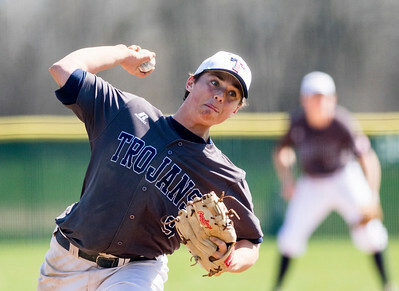 Sarah Nader - snader@shawmedia.com Cary-Grove's Ryan Ignoffo pitches during Saturday's game against McHenry April 8, 2017 in Cary. McHenry won, 5-2. 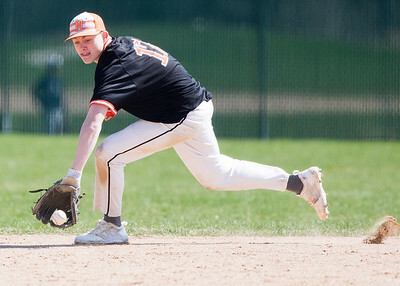 Sarah Nader - snader@shawmedia.com McHenry's Nick Finley reaches for the ball during the fourth inning of Saturday's game against Cary-Grove April 8, 2017 in Cary. McHenry won, 5-2. Sarah Nader - snader@shawmedia.com McHenry's Joe Kaminski pitches during Saturday's game against Cary-Grove April 8, 2017 in Cary. McHenry won, 5-2. 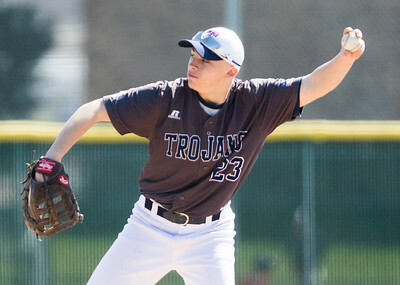 Sarah Nader - snader@shawmedia.com Cary-Grove's Jake Kuhl throws to third base during the fourth inning of Saturday's game against McHenry April 8, 2017 in Cary. McHenry won, 5-2. Sarah Nader - snader@shawmedia.com McHenry baseball players cheer on their teammates during Saturday's game against Cary-Grove April 8, 2017 in Cary. McHenry won, 5-2. 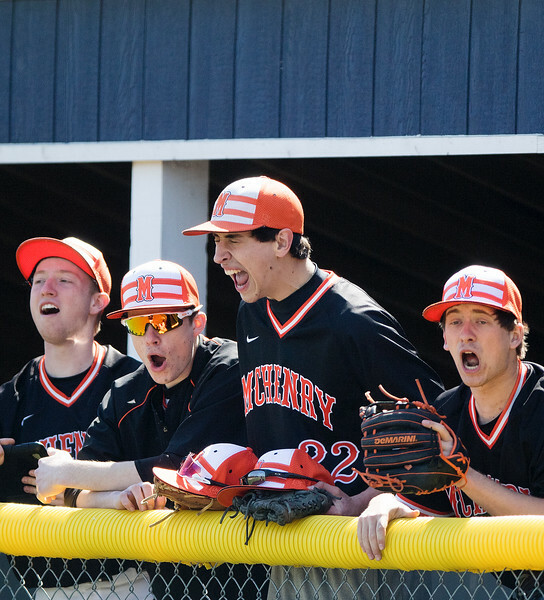 McHenry baseball players cheer on their teammates during Saturday's game against Cary-Grove April 8, 2017 in Cary. McHenry won, 5-2.